Happy Monday everyone! Today is On the Lighter Side here at The Slow Roasted Italian. Today also happens to be Secret Recipe Club Monday!!! I am so delighted to be participating in the Secret Recipe Club this month. It is so exciting, kind of like Christmas morning. This is how it works... You sign up for The Secret Recipe Club by going to the website here. A name is 'drawn' and assigned to you. 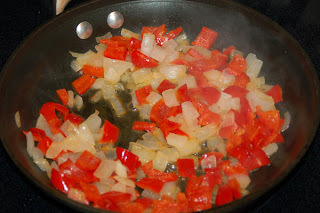 "You simply choose any recipe from the blog you are assigned, make or bake it, and blog about it on the date specified..."
I drew Dancing Veggies this month, a fabulous vegetarian blog with several vegan recipes. I clicked on the link and took a look around. It is written by Amanda, a twenty-something focusing on simple and quick dishes with ingredients that can be found at the local market. I highly recommend you check out her blog. I found 2 recipes that I absolutely fell in love with. I love eggs and I also love salads. I found this incredibly simple recipe for Baked Greek Eggs, that looked so easy to adapt to suit personal tastes and also Chipotle Salad with Tomato Bean Salsa. In the end I decided on the eggs. But, I am making that salad for lunch today! They are incredible. I added some olives, mint and changed to egg whites. This dish has a mere 185 calories and 5 grams of fat per serving and packs 19 grams of protein. 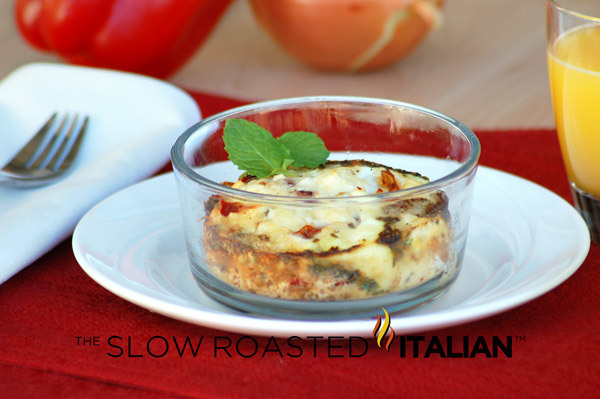 Incredibly flavorful with a browned feta cheese top, it is really filling too! I hope you love it, I certainly do. 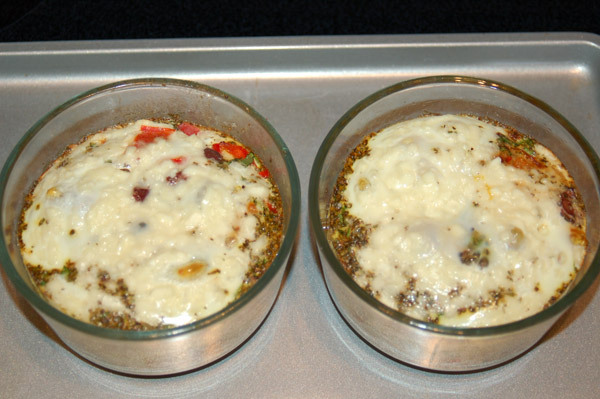 Prepare 2 - 2 cup oven safe bowls or ramekin by spraying with olive oil cooking spray. Set aside. Spray a medium skillet with olive oil cooking spray. 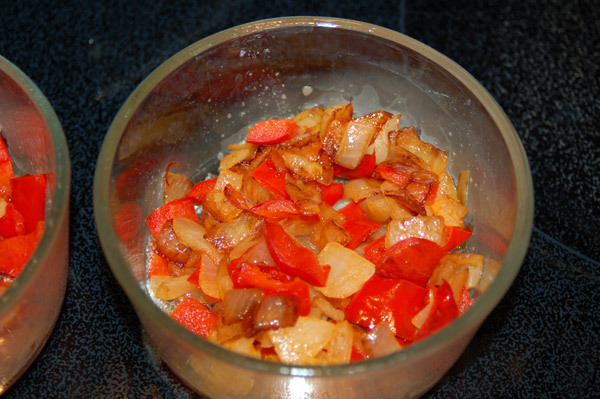 Heat over medium-high heat, cook onions and peppers until barely browned. Remove from heat. 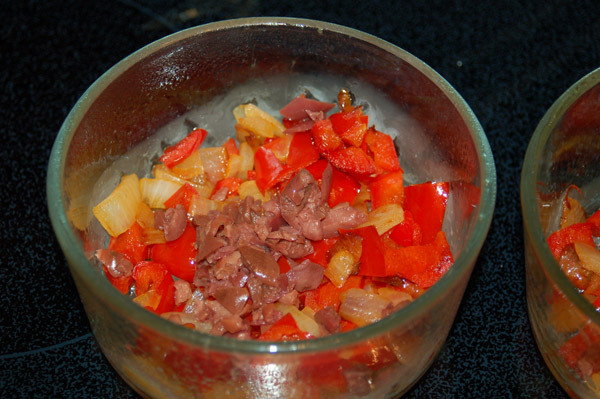 Evenly distribute the pepper mixture into 2 prepared bowls. Sprinkle the diced olives on top of each, half on each. 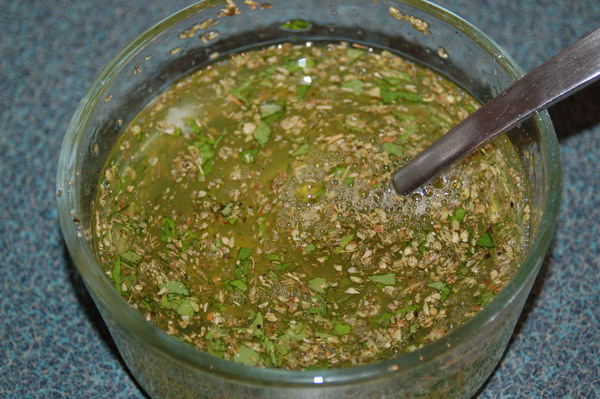 In a separate medium bowl, add egg whites, mint, oregano, salt and pepper. Whisk to combine. Pour half the egg whites into each bowl. 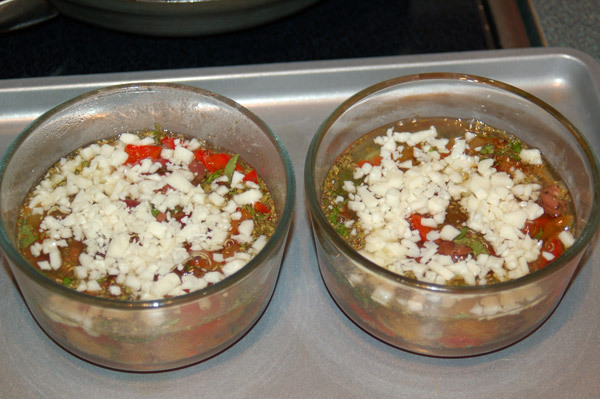 Sprinkle each top with half of the feta cheese. Place oven safe bowls on a baking sheet. Bake for 20-25 minutes, until the egg whites are almost done. Turn oven to 400°. Bake for 5 minutes to slightly brown the tops. Love baked eggs! This looks delicious...good choice for SRC. Love this recipe and all the flavors! Also love that it's low fat and calorie - I will definitely add this to my arsenal! Looks like a fabulous way to start the day! Love the recipe, these will be on my next brunch menu. Once I read the about the kalamata olives in the breakfast dish, I knew I was in.Sounds fabulous. What a great egg dish! Great pick for SRC! Oh wow, this looks so good! And so healthy! Just amazing. How have I not stumbled upon your blog before?? Love it!!! I have not baked eggs before, so this sounds interesting. Are those Pyrex bowls? Great idea! I normally leave eggs on the weekends to my husband, but I will sure show this to him for this weekend :) This was a good, healthy pick. Love your site! I love how simple but packed with flavor this recipe sounds! I would love to start my day with this! Simple and delicious cannot be beat, love the Greek flavors in here! Baked eggs are so delicious, and much more fancy than a plain old plate of scrambled eggs =P YUM!